Be by the sea. On Cramond Island | Que Sera Sara? I love the sea. Always have, always will. It’s in my blood. My grandpa used to joke that my family is part-selkie. Sometimes I half believe him. More than a few weeks without a shoreline and I get a little stir crazy. So, as one of my thirty things for being 30, I’ve promised myself more time at the sea. Most of last year [can I call it that yet? it still feels weird] I went every week or two. Sporadically seizing an hour after dinner or even before work. So at the first opportune moment, I made my first pilgramage in almost two months. It was much-needed after the busy, travel filled end of 2011. I felt my soul unfurl as I basked in the early sunset and watched the winklepickers work. As the storm clouds rolled over Fife I almost cried with joy. There is nothing so beautiful as Scotland from the water’s edge. In this visit I seized the urge to pop out to Cramond Island [which is rumoured to have inspired Stevenson’s Treasure Island]. While the island is a perfectly nice place to picnic [and is rampant with blackberries in the autumn], this visit I was mostly infatuated with the birds. 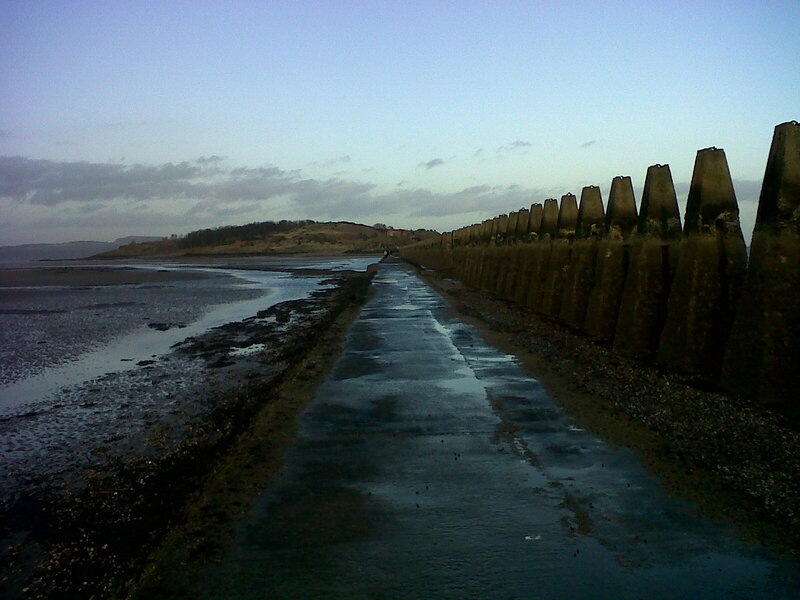 You see, Cramond is a tiny tidal island. At the right time of day it can be reached on foot, when a paved footpath appears in the receding foam at low tide. I say paved. I think it’s cement, but it’s hard to be sure exactly what’s under the layers of barnacle and mollusk. Anyway, there are giant, oily black crows in these parts. In low tide, they hunt for shellfish in the eddies and shallows then swoop over crusty footpath to drop their catch, hoping to crack open the shells. It really is quite a feat to watch. Sometimes they’ll have to give it 5 or 6 goes before it works. All the while, there is a chorus of catcalling and cajoling among the flock for the best spots and the best shells. In-fighting and petty offences abound, and despite a wide open seabed for miles, everyone scuffles for the same few inches. It was quite charming, watching other lives of all shapes and sizes scuttling about. Puts things in perspective somehow. 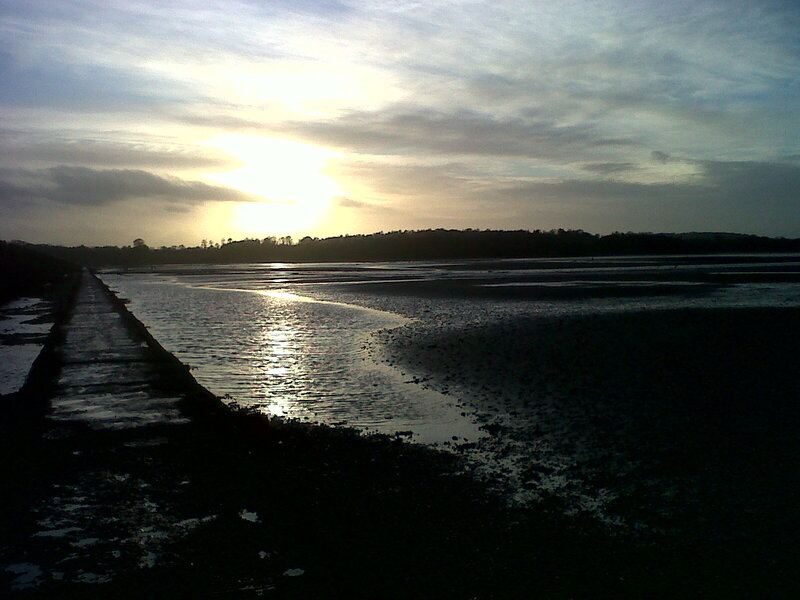 And while Cramond may not be the world’s most beautiful beach, it has a special charm all its own. Someday I’m going to live by the sea – possibly in a shanty shack, throwing pots and terrorising small children while wearing giant Fair Isle jumpers. In the meantime, a spot of Cramond Beach will do me nicely. ← Poll: Where in the World?